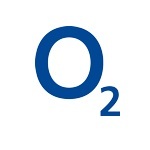 O2 is a leading provider of mobile phones, mobile broadband and sim only deals. Plus, turn your possibilities into reality with the expert O2 Guru service. Bringing an approachable solution to your technical troubles, free of charge. Let our team help you explore the possibilities of new technology with the latest 4G phones and tablets available on Pay Monthly and Pay & Go, plus exclusive digital services like MyO2, Priority Moments, TU Go and O2 Tracks.